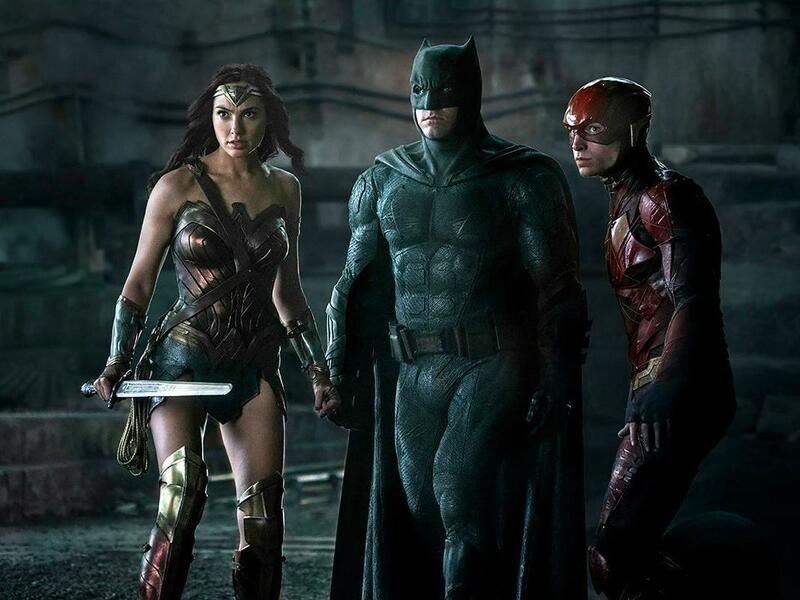 Justice League is mercifully not a disaster. It certainly isn't as frightfully awful as its predecessor, Batman vs. Superman: Yawn of Justice. That Justice League is not a garish nightmare should not be taken as an endorsement. Justice League is still a bad movie, especially given that it really could have been more. Justice League is really nothing. Superman is dead, and this is something the film goes on and on about. Bruce Wayne/Batman (Ben Affleck) believes that there is an impending invasion from somewhere, so he starts looking for the various 'superheroes' he's been tracking down. He is reluctant to contact Diana Prince/Wonder Woman (Gal Gadot), I think in part because he is attracted to her. However, after receiving a secret notice from her Amazon sisters, she believes that the war is 'already here'. With that, both begin searching for the others, with varying degrees of success. Arthur Curry/Aquaman (Jason Momoa) has no interest. 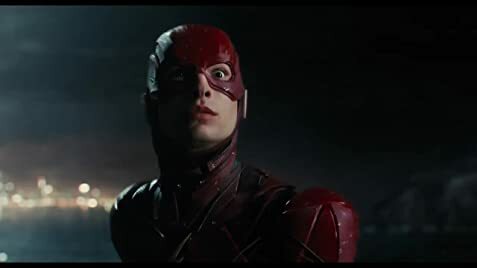 Barry Allen/The Flash (Ezra Miller) eagerly jumps in. Victor Stone/Cyborg (Ray Fisher) is reluctant but ultimately joins. They have to do battle with Steppenwolf (Ciaran Hinds), a megalomaniac alien bent on world conquest. In order to do that, he has to recover the three Mother Boxes that were left on Earth the last time he tried to conquer the planet. A united force of Amazons, Atlantians, and Men put aside their differences to defeat him and took a separate box to protect. In remarkably short order Steppenwolf takes the first two from the Amazons and the Atlantians (the first on Themyscira/Paradise Island, the second in Atlantis). The Mother Box that Man hid is a little harder to find, but Cyborg knows where it is. He should, as it is the reason he has become part-man, part-machine. With this third Mother Box, Batman pushes to bring back Superman from the dead. Wonder Woman and to a lesser degree Aquaman are opposed, but they need him both for his strength and to be the symbol of hope that the world needs. With that, we get everyone to perform some weird science and Superman (Henry Cavill) comes back to life. However, he is unsteady and attacks everyone, until Lois Lane (Amy Adams) comes to settle him down. While Clark is off with Lois getting settled back among the living, Steppenwolf and his Minions are in Russia somewhere getting ready to conquer the world. They can do this because the Mother Box used to perform a Lazarus act was essentially left out there for him to pick up. Now all our superheroes must do battle with Steppenwolf to save the world. In a mid-credit scene, The Flash and Superman race to see who gets to the Pacific first, and in the post-credit scene, Lex Luthor (Jesse Eisenberg) has escaped and on his yacht, gets a "Mr. Wilson" to think about forming a league of their own. Not being the most familiar of people with DC lore, I figure this is the Legion of Doom. There's a lot to say with regards to Justice League, but at the top of the list is just how misguided it all is. None of the DC Extended Universe films have been good save Wonder Woman, and I simply don't understand why the production team insists on piling on so much and think the product is good. I think one of the primary reasons Justice League is bad is because of its antagonist. Steppenwolf is a disaster of a villain. His motivations are boring (world conquest), his methods of battle are ridiculous (he managed to bring down both the Amazons and Atlantians with nary a fight, especially the latter). In fact, I found Steppenwolf to be quite funny versus menacing, with poor visual effects to create this unimpressive villain. As a side note, I know many people have gone on about how Cavill's upper lip looked bizarre and unnatural, the result of having to digitally remove a mustache he had for another film that he was ordered not to shave off. Apart from the opening scene where Superman looks like The Joker, I don't think this was such a big deal. Despite how often we were told how great the stakes were, we never felt that they were. It was all so remote, so distant, disinterested. I never cared enough about the fate of this world to be on the edge of my seat. Part of that may be due to the actual script, or at least what ended up on film. When the Amazons, Atlantians, Men, and even quick glimpses of the Green Lantern Corps were shown battling Steppenwolf and his demons, I asked when did Justice League turn into Lord of the Rings. Much has been made of how director Zack Snyder, forced to leave the production due to a terrible family tragedy, was replaced by Joss Whedon, more versed in balancing action and comedy. At times you can almost pick scenes with a lighter touch, yet they didn't melt into a cohesive whole. Perhaps it would have been impossible to mesh them, but there were moments that sounded bizarre. Of particular note is when Barry is seeing his father Henry (Billy Crudup) in prison and is taken away. Henry tells his son something, but the audience wasn't sure what exactly he said. Some in the audience asked, "Did (Henry) tell (Barry), 'Don't be gay?'". Despite the film's constant efforts, none of the action sequences expect perhaps, perhaps the first one featuring Wonder Woman was remotely interesting. They may have been big, they may have been long, but they were boring. I confess to fighting off sleep while watching the Steppenwolf/Justice League confrontation in Mother Russia. Was that why Steppenwolf picked Russia to have "The Unity" of the Mother Boxes? It is clear Justice League was woefully misguided by everyone concerned: the writers and directors and producers. I don't know how much of a spoiler Superman returning can be when Cavill is listed second in the credits. Again, for how often the film goes on about how Superman was this great symbol of hope and how crime has gone rampant because everyone thought he was dead, the film never made the case for why he should have been brought back. When he was, we see that the film again shows what Everybody Knows: Henry Cavill is a breathtakingly beautiful man, but he simply cannot act. He was great when he just stood there, giving everyone a chance to marvel at his face and body (save for the upper lip), but when he was tasked to speak, Cavill again showed how dead and wooden he is. I remain convinced Cavill's role in Justice League and Yawn of Justice is due to the recognition that he simply cannot act and the less he's given to say, the better for all. I frankly don't see what others do with regards to Momoa, who to be fair had a semi-good moment when he inadvertently admitted fear, but it isn't enough for me to want to see a separate Aquaman movie. Affleck too showed he was all wrong for Batman, the scene where he's trying to rally the troops to resurrect Supes being a bit of unconvincing acting. To my surprise, Miller was good as the eager young Barry, though the quippy nature of his role soon wore thin. He was meant to be the comic relief, but after a while his rapid-fire banter and nervous 'I'm just a kid' shtick grew tiresome. After rescuing some random Russians put in there to heighten the danger (I think), he nervously waves goodbye and says "Dostoevsky", which I figure was his way of trying to say 'Das vadanya'. Thin line between goofy and idiot. I can't say much about Fisher because he had so little to work with. Again, the standout continues to be Gadot, who was commanding and kind as Wonder Woman. Given how powerful both Gadot and Wonder Woman were, it's unfortunate how she was at times reduced to eye candy. Twice we saw shots that accentuated Diana's derriere and twice the men expressed a sexual interest in our Amazonian Princess. So much for female empowerment. It's to where Adams, Diane Lane as Martha Kent, Jeremy Irons as Alfred Pennyworth and J.K. Simmons as Commissioner Gordon weren't even needed and there just for dressing. I was more involved with the fact that I recognized Marc McClure (Jimmy Olsen from the original Christopher Reeve Superman films) in a cameo than I was in Adams, whom I think is the worst Lois Lane ever (not a slam on Adams as an actress, but a slam at how she was wrong for the part and has been ill-served by the various scripts in this Extended Universe). Justice League is only mildly bad. It isn't nearly as horrendous as Suicide Squad, or Yawn of Justice, or Man of Steel. That is not an endorsement of Justice League. That is a tragedy.